In the age of smartphones and social media, it’s more important than ever to keep customers happy. Whereas the average dissatisfied customer once told up to 10 people about a disappointing experience (by phone or in-person), today she can easily spread the bad news to thousands of people in a matter of minutes. Fortunately, good news can spread just as fast too. 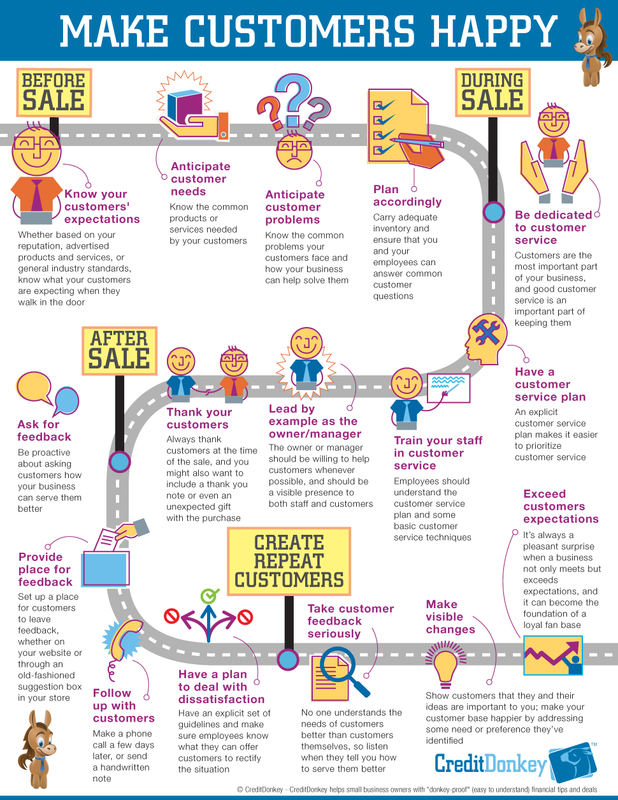 To help small business owners take advantage of the growing power of customer reviews, we packed the infographic with advice and tips for business owners to improve their customer service. While the benefits of customer satisfaction are obvious and highly visible (repeat business acquired at a low cost), the damage done by dissatisfied customers can fly under the radar for a long time. Since relatively few dissatisfied customers will complain to a company’s owners or managers, it’s important for businesspeople to develop multiple, proactive channels for gathering customer feedback and responding to the feedback. Anticipating customer needs and planning accordingly. Training the staff in customer service. Leading by example as a manager. Providing a place for customer feedback. Developing plans to deal with dissatisfaction. For many small business owners, customer service is an afterthought. The average owner is so busy dealing with the thousand and one things needed to launch and operate the enterprise that he forgets to develop a customer service plan. Fortunately, creating a loyal clientele of happy customers doesn’t have to be costly. Simply avoiding some common mistakes can have an outsized impact on repeat business. 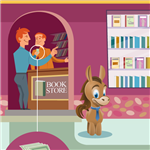 Leave a comment about Infographic: Increase Customer Satisfaction and Make Customers Happy? Share on Facebook "Infographic: Increase Customer Satisfaction and Make Customers Happy"